Turner Simmentals is progressive seedstock operation, striving to produce cattle that combine a great look of function in tandem with a modern showring look. Through the utilization of artificial insemination and embryo transfer we feel we can deliver our customers "real world cattle" that will not only excel on the tanbark; but perhaps have a greater impact on their respective program and bottom line alike. 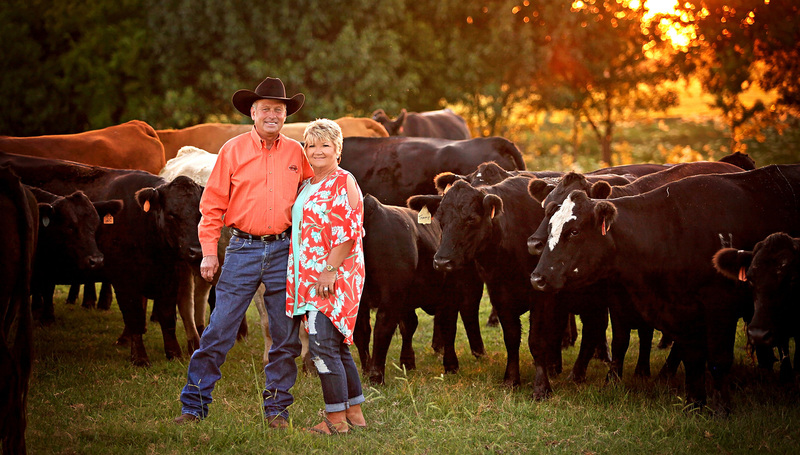 Scotty and Susan Turner are passionate about raising competitive Simmental show cattle. Turner Simmentals utilizes every advantage available from breeding & feeding to the show ring insuring success for our customers. Add Turner Simmentals to your list of top Simmental breeders in Oklahoma. We are working hard to produce calves with the show ring flare livestock judges are looking for. 3 great prospect heifers for sale at Black Label Auction in Grandview, Texas on October 13, 201..
We have a great set of Simmental & Sim Angus bulls For Sale. Sires include our herdsire Co..
We are currently in development of our online presence. Please browsr the site and check back fo..
Sign up to receive occasional correspondence of upcoming sales, events & newsworthy information.